The third (30-volume) edition of the Big Soviet Encyclopedia which was issued in 1969 — 1978 presented to the reader this plant as a bush from the family of Vacciniaceae. 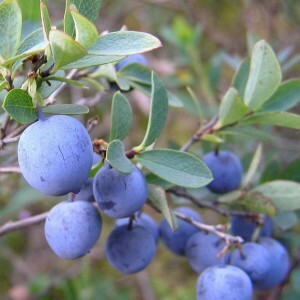 Modern botanical classification doesn't "know" such family any more, and reference books on its basis surely position Blueberry as one of types long-term and leaf-losing bushes with well-developed rhizome. Vaccinium belonging to a sort of the family of Ericaceae. The sort can be divided into 2 subsorts: Oxycoccus and Vaktsinium.